At Regan's Martial Arts we offer private and semi private training in a wide variety of Martial Arts . 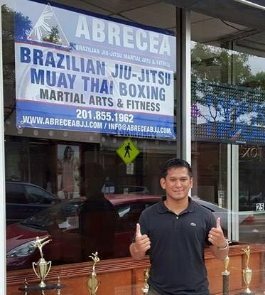 Who we are -We are a small semi private training group , we train modern MMA and various Traditional Martial Arts and follow the training mindset made famous by Bruce Lee "Absorb what is useful, Discard that which is not and Add what is uniquely your own." Our founder has trained in various arts for many many years and has been exposed to many training methods throughout this time. 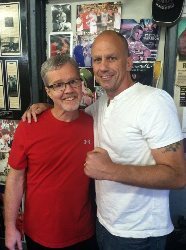 After many years of teaching people from all walks of life including civilians, teachers, lawyers, celebrities, bodyguards, as well as members of NYPD, LAPD, and Federal Marshalls, he has developed a unique approach to coaching students in a combination of skill sets that covers all ranges of fighting. What we teach- We teach several programs individually in group class format such as our Jeet Kune Do program, our Kali/Silat program,our Wing Chun program etc which have levels of advancement from beginner to instructor level, later most students cross train in several arts/programs combined and find their own "way" based on their attributes and skill level and individual needs..
Do you welcome people from other styles-We are researchers ourselves and we appreciate people who are looking to enhance their current skills and crosstrain other systems.We all learn from each other so of course we welcome people from other systems. We do not tolerate any people who instigate problems with other schools or groups,we dont discuss other lineages or politics in classes.We keep it simple and have a good time training with like minded people. The culture of our classes-We are a group of working adults and our main goal is to be able to train for many years so we train hard but also smart. We want to push ourselves but also remain injury free as most our students are working adults who train 1-2 days a week. We do not allow sparring by anyone who just walks through the door, we train together, gain trust and gain skill then we spar with control and work on developing our skills under increased pressure. 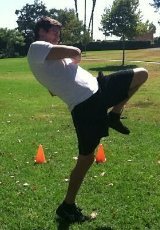 Private Lessons- Private lessons are available for Fitness as well as Martial Arts and Meditation Arts. Many people do not want to fight but want to benefit from the incredible health and fitness benefits that the Martial Arts offers. The Internal Arts of Xingyi,Bagua and Taiji for example have alot to offer is terms of yoga and meditation,while the more immediate combative arts such as JKD, MMA, and Kickboxing offer incredible fitness and cardio training. If you are seeking fitness, health or self defense, we can help you along your journey! Take a look at the drop down menu under programs to see more info on the arts, and please take the time to sign up for our mailing list which is located on the left side of this home page.Click on our Instructor page to find out more about our certified teachers and their experience. Private lessons are available throughout the week, Group classes are held at our indoor location on Sundays at 11 am inside the Karate School located at 31848 Village Center Rd, Westlake Village, CA 91361. If you have any questions or would like to contact us please visit the contact page located in the main menu. I've know Danny since i was a teenager when my brother and I started our first lessons of martial arts. I have never met anyone as passionate as Danny in relation to Martial Arts. He was like an older brother and a mentor to me. Not only he was a great practitioner in multiple arts but also he was a great instructor and motivator especially in the art of wing tsun kungfu, shootwrestling/jiujitsu, jkd & arnis at balaraw. 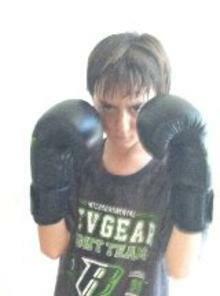 He has helped me and my older brother so much in our transition into becoming true martial artists. I highly recommend Danny Regan as an instructor to anyone who is willing to learn great techniques, gain self confidence, and learn pure self-defense techniques.. Only if I lived near him now, I will definitely be taking lessons with him. I am extremely honored to be able to learn and train from/with him. Dan was teaching in the Long Island, and Brooklyn areas. Now teaching in California.He teaches private lessons to many people from other styles, who are looking to enhance their training.He was a Professor at the NY College of Health Professions. 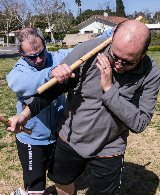 Jeet Kune Do, Kali/ Silat, Wing Chun, Muay Thai, Xingyi and Bagua classes In Thousand Oaks Ca. Instructors in NY offering various classes, inquire for details.